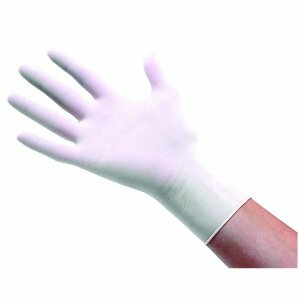 Our best selling Powder Free Latex glove at an amazing price! Latex is a milky, organic fluid, simply another word for rubber and is harvested from the sap of the rubber tree, "Hevea brasiliensis". 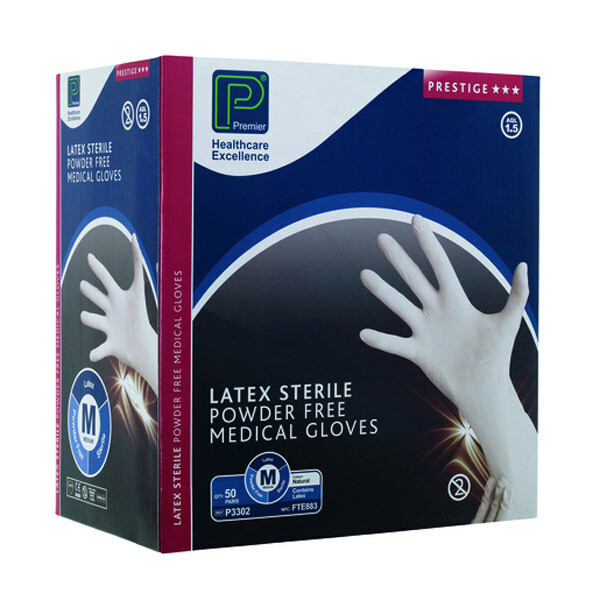 Latex gloves were first manufactured in the early 1960s, although their use for sterilisation was championed as early as 1890. 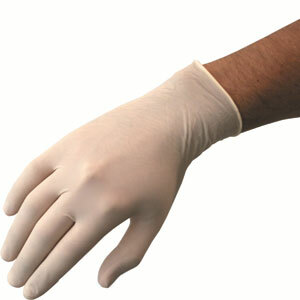 Latex gloves are tough, yet thin and tight-fitting, allowing for dexterity like a "second skin”. Made in their millions today, they keep the world sanitary in a wide variety of environments. 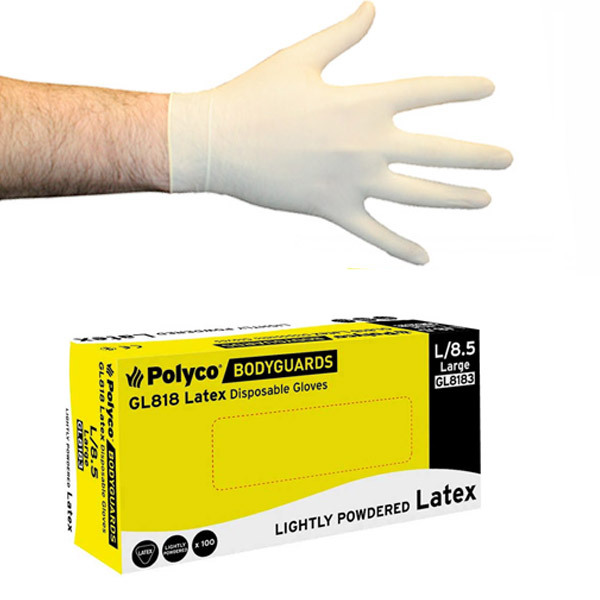 Why should you buy Latex Gloves? 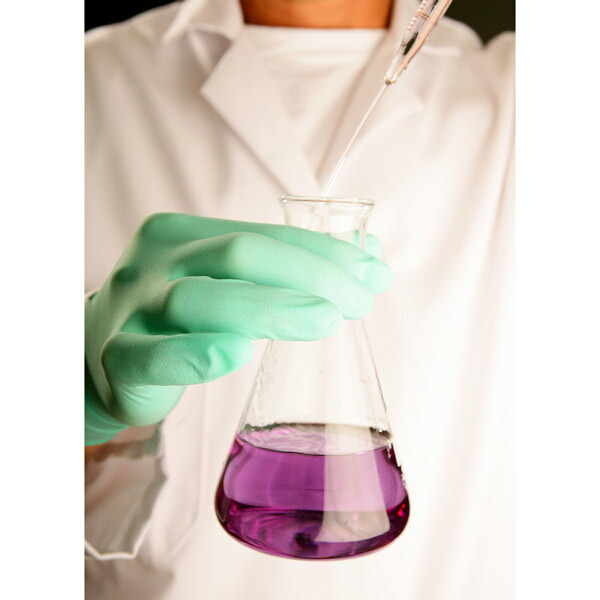 Latex gloves are an effective option to shield your hands from certain chemicals that can cause harm or discomfort if in contact with your skin. 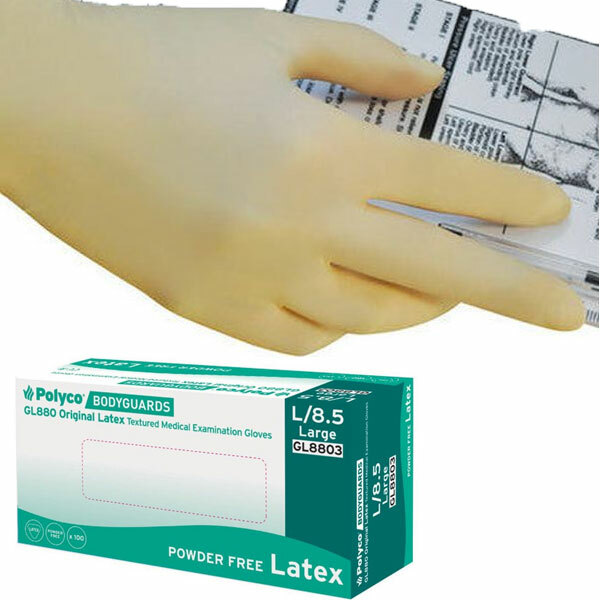 What is the difference between powdered & powder-free latex gloves? 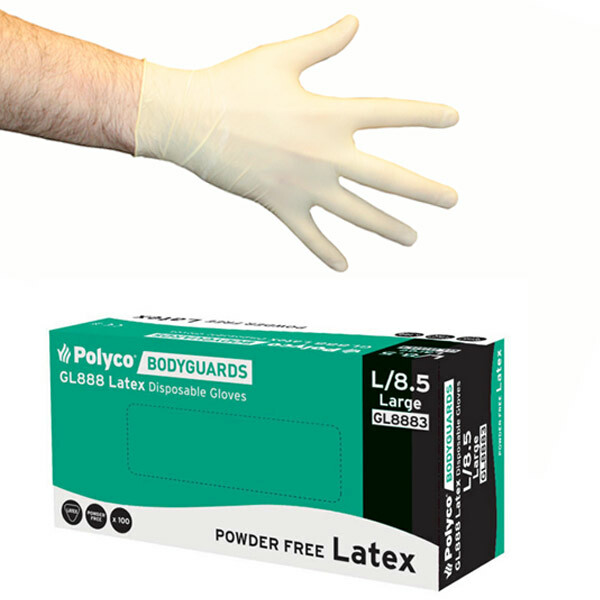 All of our latex gloves are available in powdered and powder-free. Powdered gloves are covered with a light dusting of powder, which helps when applying the glove and also helps to absorb any perspiration. Some people find powdered gloves provide more comfort when wearing them for a longer period of time. 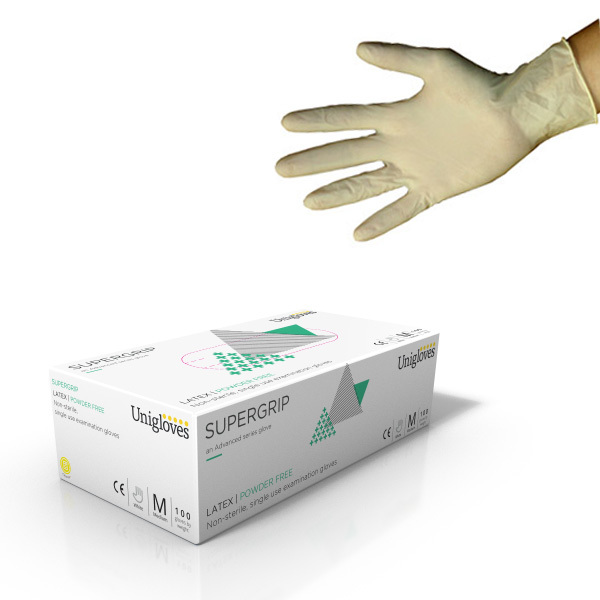 In clinical environments, such a hospitals, powder free gloves may be preferable to lower the risk of cross contamination occurring. 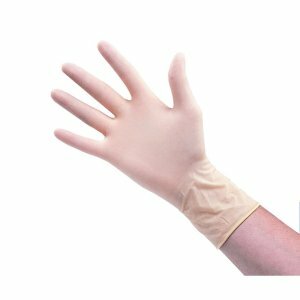 Are latex gloves better than vinyl gloves for protection? Latex is stronger than vinyl in terms of puncture resistance and is therefore preferred in medical use. 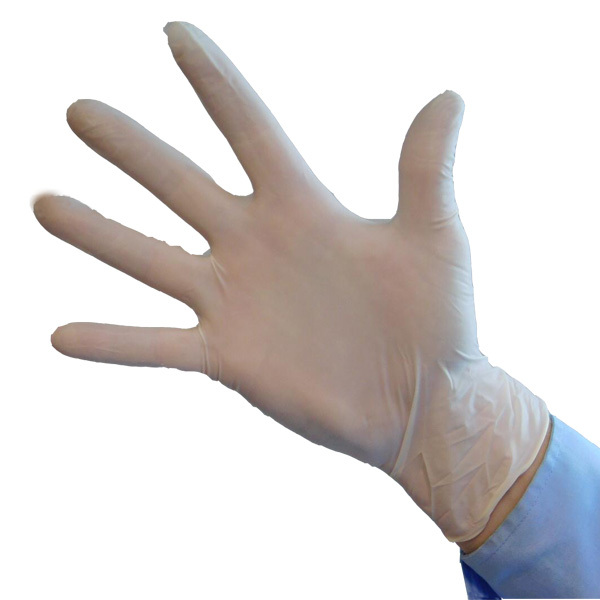 What’s more, latex gloves have a snugger fit due to vinyl’s limited ability to stretch. 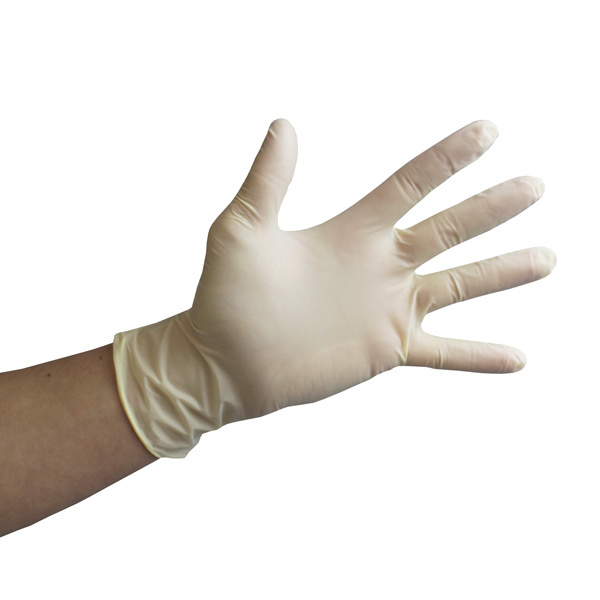 The list contains just some of the professions that regularly use disposable latex gloves, in reality any person who is in contact with dangerous chemicals should wear a disposable glove. 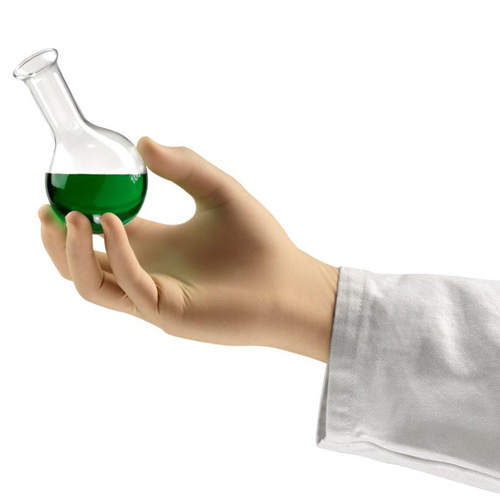 The physical properties of latex offer protection from bio hazardous risks whilst superior elasticity and tensile strength. 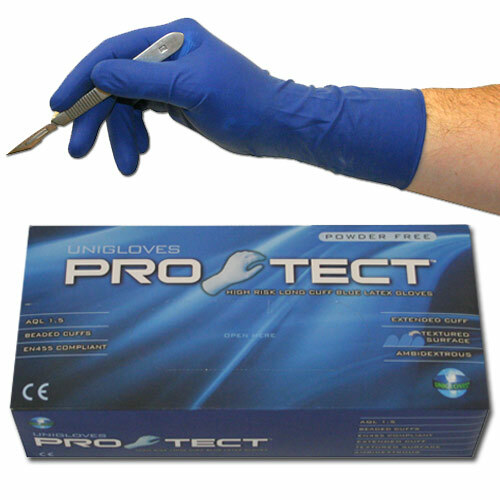 These properties provide unsurpassed user comfort and a reasonable resistance to cuts and abrasions. 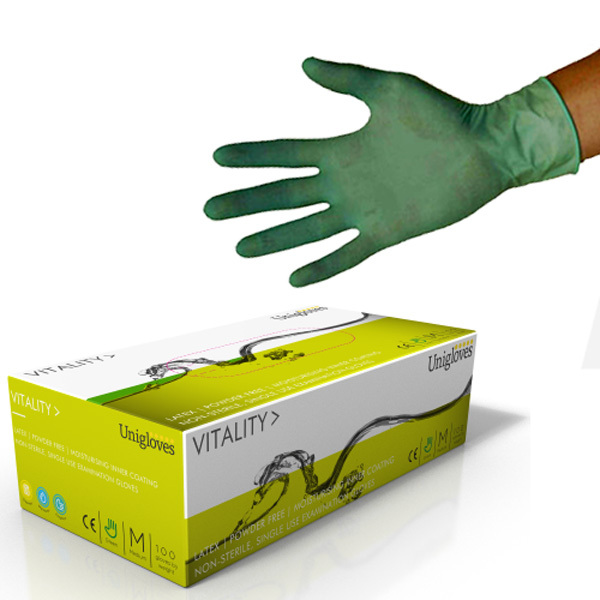 As latex gloves are manufactured from a naturally occurring substance, they possess greater biodegradability and are kinder to the environment than Vinyl and Nitrile gloves, which are manufactured from man-made synthetic materials. 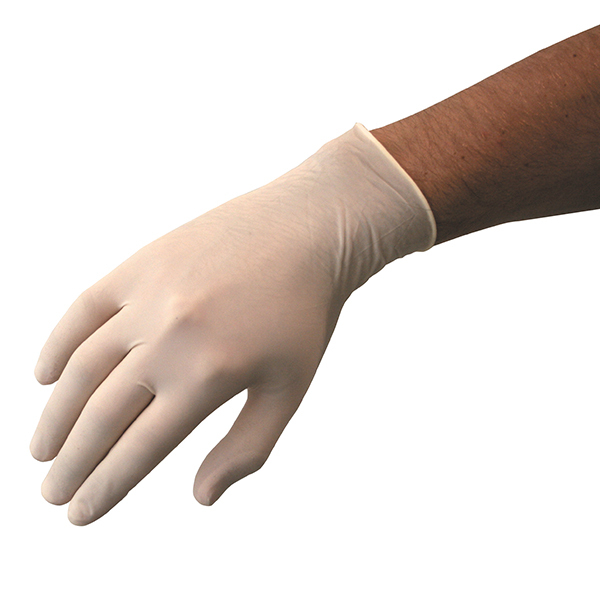 Why are disposable gloves different colours? 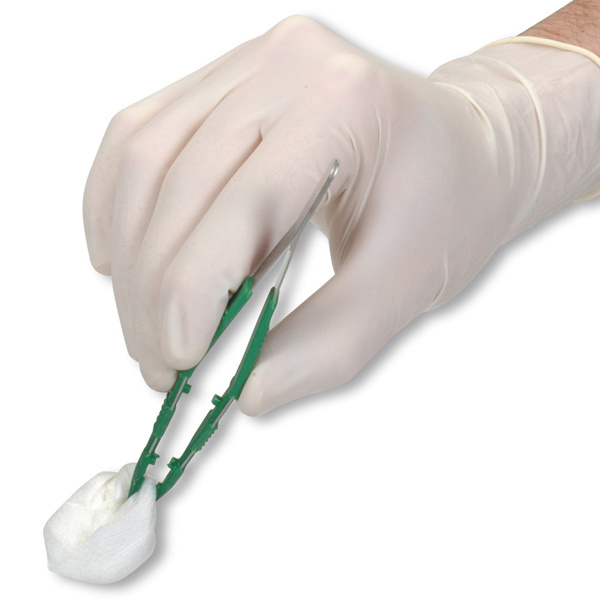 Disposable gloves come in many different colours. The most commonly used colour is blue due to professions such as surgeons, caterers, carers and dentists. 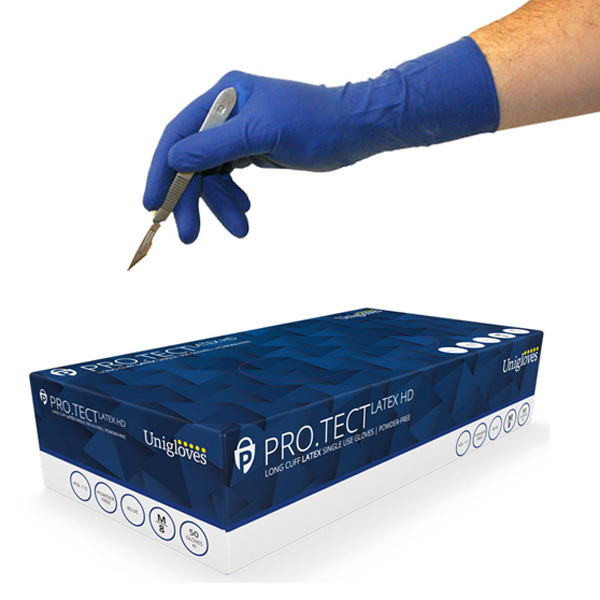 Choosing the right colour gloves is important, for example; in a hospital environment where cross-contamination can happen, the colour of a glove can be used to identify which area the glove belongs, thus reducing the risk. 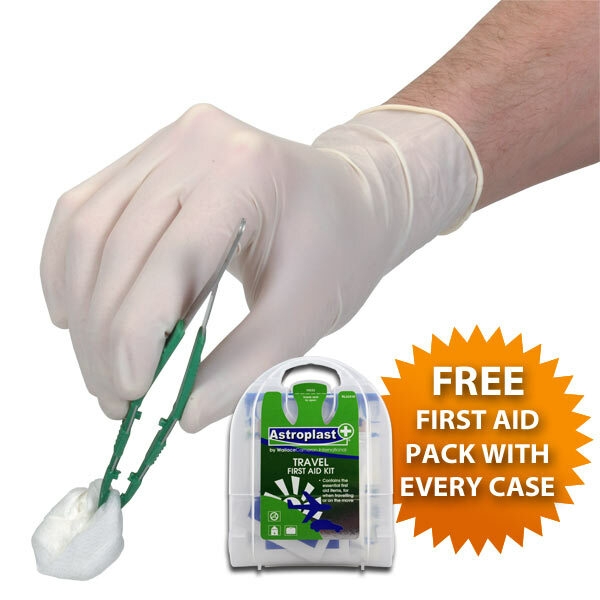 When considering whether to use powdered or powder free gloves, then, two considerations are price and allergy. The gloves will be cheaper if powdered, but more likely to cause allergies. 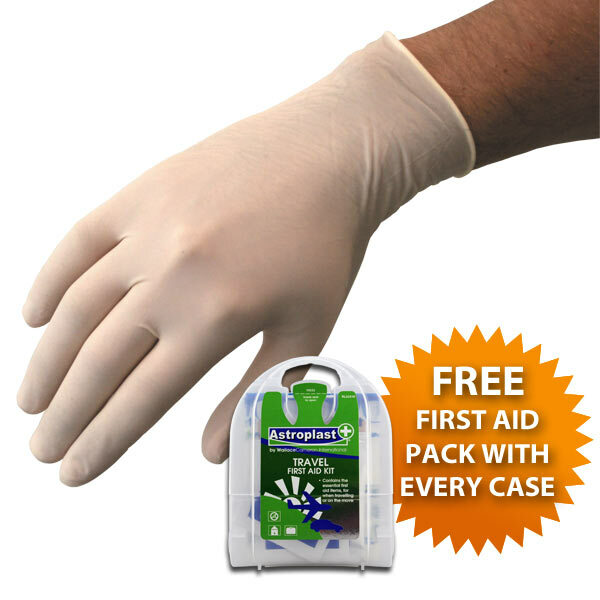 Many people ask if any traces of powder are in non-powdered gloves and JustGloves can confirm that all our gloves DO NOT contain any traces of powder.